As our circle of friends grows smaller with each passing year, it is easy to lose interest in social gatherings. We decline invitations to meet up with friends. We withdraw into our little cocoon that is our home. But take heed. The Amsterdam Study of the Elderly has linked loneliness to dementia. This is not the first or only study that has come up with such findings. People who have remained single or have lost their spouse and are living alone are at higher risk of developing dementia in later years. However, there is a clear distinction between being alone and being lonely. Every now and then we do enjoy the peace and quiet that comes with solitude. We need the privacy of our own space, to do our own things. That is not the same as being lonely. I have many friends who live alone, but their calendar is filled with one social activity or another. They are busier than ever in their retirement, doing things they enjoy, with people they like. They live alone out of choice, and not because of circumstances. We experience loneliness when we have difficulty connecting with others, or when we have few social activities. Keep loneliness at bay by getting out more often, or inviting friends over. Join a community group, attend networking functions or enroll for classes. The possibilities are endless if we really want to avoid feeling lonely and depressed. Oh boy, scientists need to launch an expensive "study" to conclude that loneliness and dementia are interrelated? Hahahaha. I think, as your article suggests, that social interaction is absolutely crucial. 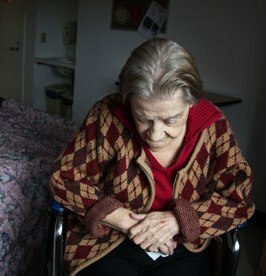 Nobody wants to be lonely , unfortunately seniors are one of the groups most at risk. It's one of the main advantages of care homes I think, people get to live with peers of theirs and experience social interaction regularly through activities and social meal times. 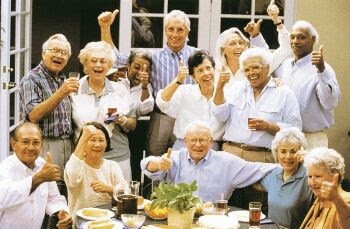 Another option which is being increasingly adopted by seniors as a means of social interaction is the internet. There are a huge amount of like minded individuals out there on the world wide web who are happy to chat or perhaps even play online games with! The family care home is one of the best ideas I've seen. I'm delighted it is being acknowledged as an option in recent years, and it is just this type of research that has helped them gain standing. Some folks have never lived alone at all until they are suddenly widowed. The habits of regular intimate day long interaction with family and friends, developed over 75 or 80 years, are hard to replace, especially when one moves from familiar surroundings to an assisted living center. Loneliness will lead to depression and can be a cause for memory loss. It is true that even while living alone, seniors can be socially active by mingling with others and enrolling in classes or activities that keep them occupied.One good option is Senior Care at Home where elderly people can live in the comfort of their homes and are close to their family. Spending time with children and grandchildren will keep them happy and relaxed.